Welcome to eTropicalFish.com, the online home of Tropical Fish International. 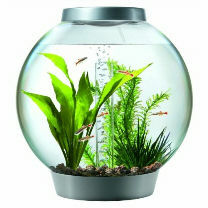 Here at TFI, we are committed to offering top quality aquaria at the most competitive price. Our global supply chain along with our state of the art Los Angeles distribution center allow us to offer the experience, quality, value and selection you need in a tropical fish wholesaler. TFI – Your Premier Tropical Fish Wholesaler. TFI’s modern distribution facility has a fully computerized PLC based system that detects, measures, and controls every possible variable of our water quality, thus enhancing the quality of the livestock destined to our customers. Our state of the art facility was created with our customers (big and small), in mind, while optimizing efficiencies. TFI works closely with our collectors and breeders throughout the world to provide the best possible product week after week. We offer weekly freshwater shipments from Sri Lanka, Thailand, Malaysia, Hong Kong, Taiwan and China. Marine shipments are also brought in weekly from Sri Lanka, the Red Sea and The Philippines. In addition to these countries items are also available from Africa and South America. TFI is constantly working to expand our product line by establishing mutually beneficial relationships with our vendor partners.